Charles Carroll (September 19, 1737 – November 14, 1832), known as Charles Carroll of Carrollton or Charles Carroll III to distinguish him from his similarly-named relatives, was a wealthy Maryland planter and an early advocate of independence from the Kingdom of Great Britain and one of the signers of the American Declaration of Independence. He is sometimes referred to as one of the Founding Fathers of the United States of America, although he was not involved in framing the United States Constitution. He served as a delegate to the Continental Congress and Confederation Congress and later as first United States Senator for Maryland. He was the sole Catholic signer of the Declaration of Independence. Carroll was the last surviving signer of the Declaration of Independence - and the longest lived. Carroll was known contemporaneously as the "First Citizen" of the American Colonies, a consequence of his editorials in the Maryland Gazette. Carroll was the wealthiest, the longest-lived survivor, and possessed the highest formal education of all of the signers of the Declaration of Independence. A product of his 17-year Jesuit education in France, Carroll spoke five languages fluently. Born in Annapolis, Maryland, Carroll inherited vast agricultural estates and was regarded as the wealthiest man in the American colonies when the American Revolution commenced in 1775. His personal fortune at this time was reputed to be 2,100,000 pounds sterling; the equivalent of $465,000,000 in USD in 2018. In addition, Carroll presided over his manor in Maryland; a 10,000 acre estate that included approximately 1,000 African slaves whom he later freed. Though barred from holding office in Maryland due to his religion, Carroll emerged as a leader of the state's movement for independence. He was a delegate to the Annapolis Convention and was selected as a delegate to the Continental Congress in 1776. He was part of an unsuccessful diplomatic mission that Congress sent to Canada in hopes of winning the support of French Canadians. Carroll served in the Maryland Senate from 1781 to 1800. He was elected as one of Maryland's inaugural representatives in the United States Senate, but resigned from the United States Senate in 1792 after Maryland passed a law barring individuals from simultaneously serving in state and federal office. After retiring from public office, he helped establish the Baltimore and Ohio Railroad. He was the longest-lived and last surviving signatory of the Declaration of Independence, dying 56 years after the document was signed. 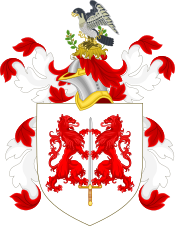 The Carroll family were descendants of the Ó Cearbhaill lords of Éile (Lords of Ely) in King's County (now County Offaly), Ireland. 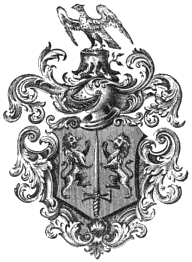 Carroll's grandfather was the Irish-born Charles Carroll the Settler (1660–1720) from Litterluna; he was a descendant of Daniel O'Carroll of Aghagurty Clareen, three miles south of Kinnitty, and a clerk in the office of Lord Powis. Carroll left his native Ireland (King's County) around the year 1659, and emigrated to St. Mary's City, capital of the colony of Maryland, in 1689, with a commission as Attorney General from the colony's Catholic proprietor, Charles Calvert, 3rd Baron Baltimore. Charles Carroll the Settler was the son of Daniel O'Carroll of Litterluna. The "O'" in Irish surnames was often dropped due to the Anglicisation policy of the occupying English, particularly during the period of the "Penal Laws". Charles Carroll the Settler had a son, born in 1702 and also named Charles. To distinguish himself from his father he was known as Charles Carroll of Annapolis. Carroll was born on September 19, 1737, in Annapolis, Maryland, the only child of Charles Carroll of Annapolis (1702–1782) and Elizabeth Brooke (1709–1761). He was born illegitimate, as his parents were not married at the time of his birth, for technical reasons to do with the inheritance of the Carroll family estates. They eventually married in 1757. The young Carroll was educated at a Jesuit preparatory school known as Bohemia Manor in Cecil County on Maryland's Eastern Shore. At the age of eleven, he was sent to France where he continued in Jesuit schools; first at the College of St. Omer, and later the Lycée Louis-le-Grand (Louis the Great College) in Paris, graduating in 1755. He continued his studies in Europe, and read for the law in London before returning to Annapolis in 1765. Charles Carroll of Annapolis granted Carrollton Manor to his son, Charles Carroll of Carrollton. It is from this tract of land that he took his title, "Charles Carroll of Carrollton". Like his father, Carroll was a Roman Catholic, and as a consequence was barred by Maryland statute from entering politics, practicing law and voting. This did not prevent him from becoming one of the wealthiest men in Maryland (or indeed anywhere in the Colonies), owning extensive agricultural estates, most notably the large manor at Doughoregan, Hockley Forge and Mill, and providing capital to finance new enterprises on the Western Shore. Carroll was not initially interested in politics and in any event Catholics had been barred from holding office in Maryland since the 1704 Act seeking "to prevent the growth of Popery in this Province". But, as the dispute between Great Britain and her colonies intensified in the early 1770s, Carroll became a powerful voice for independence. In 1772 he engaged in a debate conducted through anonymous newspaper letters, maintaining the right of the colonies to control their own taxation. Writing in the Maryland Gazette under the pseudonym "First Citizen," he became a prominent spokesman against the governor's proclamation increasing legal fees to state officers and Protestant clergy. Opposing Carroll in these written debates and writing as "Antillon" was Daniel Dulany the Younger, a noted lawyer and loyalist politician. In these debates, Carroll argued that the government of Maryland had long been the monopoly of four families, the Ogles, the Taskers, the Bladens and the Dulanys, with Dulany taking the contrary view. Eventually word spread of the true identity of the two combatants, and Carroll's fame and notoriety began to grow. Dulany soon resorted to highly personal ad hominem attacks on "First Citizen", and Carroll responded, in statesmanlike fashion, with considerable restraint, arguing that when Antillon engaged in "virulent invective and illiberal abuse, we may fairly presume, that arguments are either wanting, or that ignorance or incapacity know not how to apply them". Following these written debates, Carroll became a leading opponent of British rule, and served on various committees of correspondence. He also played an important role in the burning in Annapolis harbor of the Peggy Stewart, a ship which had been carrying tea to Maryland, and was destroyed on October 19, 1774 as part of the tea party protests against British excise duties enacted by the Parliament in the "Tea Act". The day of the burning is commemorated in Maryland by a state holiday and historical event commemorating the American Revolution, known as "Peggy Stewart Day" on October 19. Carroll: "The bayonet. Our arguments will only raise the feelings of the people to that pitch, when open war will be looked to as the arbiter of the dispute." Beginning with his election to Maryland's committee of correspondence in 1774, Carroll represented the colony in most of the pre-revolutionary groups. He became a member of Annapolis' first Committee of Safety in 1775. Carroll was a delegate to the Annapolis Convention (1774–1776), which functioned as Maryland's revolutionary government before the Declaration of Independence. In 1776, he was selected as a delegate to the Continental Congress. In early 1776, the Congress sent him on a three-man diplomatic mission to Canada, in order to seek assistance from French Canadians in the confrontation with Britain. Carroll was an excellent choice for such a mission, being fluent in French and a Roman Catholic, and therefore well suited to negotiations with the French-speaking Catholics of Quebec. He was joined in the commission by Benjamin Franklin, Samuel Chase and his cousin John Carroll. The commission did not accomplish its mission, primarily because of the failure of the concurrent Invasion of Canada. Carroll was elected to the Continental Congress on July 4, 1776, and remained a delegate until 1778. He arrived too late to vote in favor of the Declaration of Independence, but was present to sign the official document that survives today. After both Thomas Jefferson and John Adams died on July 4, 1826, Carroll became the last living signatory of the Declaration of Independence. His signature reads "Charles Carroll of Carrollton", to distinguish him from his father "Charles Carroll of Annapolis", who was still living at that time, and several other Charles Carrolls in Maryland, such as Charles Carroll, Barrister, or his son Charles Carroll, Jr., also known as Charles Carroll of Homewood. He is usually referred to this way by historians. At the time he was one of the richest men in America. Throughout his term in the Second Continental Congress, he served on the board of war. Carroll returned to Maryland in 1778 to assist in the formation of a state government. Carroll was re-elected to the Continental Congress in 1780, but he declined. He was elected to the Maryland State Senate in 1781 and served there continuously until 1800. In November 1779 The Maryland House of Delegates moved to pass a bill confiscating the property of those who had sided with the Crown during the Revolution. Carroll opposed this measure, questioning the motives of those who pressed for confiscation and arguing that the measure was unjust. However, such moves to confiscate Tory property had much popular support and eventually, in 1780, the measure passed. When the United States government was created, the Maryland legislature elected him to the first United States Senate. In 1792 Maryland passed a law that prohibited any man from serving in the state and national legislatures at the same time. Since he preferred to be in the Maryland Senate, he resigned from the U. S. Senate on November 30, 1792. The Carroll family were slaveholders and Carroll was himself a substantial and wealthy planter. Carroll was opposed in principle to slavery, asking rhetorically: "Why keep alive the question of slavery? It is admitted by all to be a great evil." However, although he supported its gradual abolition, he did not free his own slaves. Carroll introduced a bill for the gradual abolition of slavery in the Maryland Senate, but it did not pass. In 1828, aged 91, he served as president of the Auxiliary State Colonization Society of Maryland, the Maryland branch of the American Colonization Society, an organization dedicated to returning black Americans to lead free lives in African states such as Liberia. Carroll retired from public life in 1801. After Thomas Jefferson became president, he had great anxiety about political activity, and was not sympathetic to the War of 1812. He was elected a member of the American Antiquarian Society in 1815. Carroll came out of retirement to help create the Baltimore and Ohio Railroad in 1827. In 1828 he commissioned the Phoenix Shot Tower and laid its corner stone, which was then the tallest building in the United States until the Washington Monument. 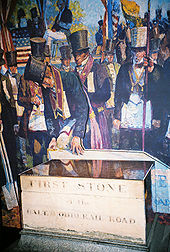 His last public act, on July 4, 1828, was the laying of the "first stone" (cornerstone) of the railroad. In May 1832, he was asked to appear at the first-ever Democratic Party Convention but did not attend on account of poor health. Carroll died on November 14, 1832, of an apparent heart attack at the age of 95, in Baltimore. He holds the distinction of being the oldest lived founding father. He had outlived the first five U.S presidents. His funeral took place at the Baltimore Cathedral (now known as the Basilica of the National Shrine of the Assumption of the Blessed Virgin Mary), and he is buried in his Doughoregan Manor Chapel at Ellicott City, Maryland. 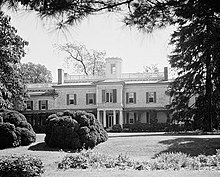 Carroll funded the building of what is known today as Homewood House, a 140-acre (570,000 m²) estate in northern Baltimore, Maryland as a wedding gift to his son, Charles Jr., and Harriet Chew. Charles Jr. then oversaw the design and construction of the house, which began construction in 1801 and was mostly finished by 1808. Research shows that he incorporated suggestions from his wife. It took five years to build and cost $40,000, four times the budgeted expense. The house never fulfilled the family's expectations, as it did nothing to cure Charles Jr.'s idleness and alcoholism, factors which led to the failure of the marriage by binding separation. Homewood was donated to Johns Hopkins University in 1876 and later became its main campus. Today, Johns Hopkins operates Homewood House as a museum, and its Federal-style architecture serves as the inspiration for Hopkins campus architecture. The home of Carroll's son-in-law Richard Caton, Brooklandwood in Baltimore County, was added to the National Register of Historic Places in 1972. Carroll is remembered in the third stanza of the state song Maryland, My Maryland. Named in his honor are counties in Arkansas, Georgia, Illinois, Indiana, Iowa, Maryland, Mississippi, Missouri, New Hampshire, Ohio, and Virginia as well as two Louisiana parishes, East and West Carroll. Carroll County, Kentucky and its county seat, Carrollton, are both named for him. Also named for him are the Carroll Gardens neighborhood in Brooklyn and the Greater Carrollwood neighborhoods of Tampa; as well as the city of New Carrollton, Maryland, home to Charles Carroll Middle School, and the town of Carroll, New York. Carroll University in Waukesha, Wisconsin, is named in his honor. In addition, Charles Carroll High School in the Port Richmond neighborhood of Philadelphia is named for Charles Carroll. In 1876, the Centennial Exhibition held to commemorate the birth of the United States was held in Philadelphia. The Catholic Abstinence Union of America commissioned the Catholic Total Abstinence Union Fountain for the Centennial Exhibition which includes a statue of Charles Carroll. The fountain was commissioned and created by sculptor Herman Kim to promote American morality and the centerpiece of the fountain was a statue of Moses. The statue of Moses is the center of the fountain and there are four other statues that surround it. The other four statues, that make up the points of the Maltese Cross, are statues of Charles Carroll of Carrollton, a signer of the Declaration of Independence, Father Matthew, the Great Apostle of temperance, Commodore John Barry, a distinguished officer of the American Revolution and father of the American Navy, and Archbishop John Carroll, the patriot priest of the American Revolution. The fountain is currently located in West Fairmount Park, Philadelphia at the intersection of Avenue of the Republic and States Drive. In 1903, the state of Maryland added a bronze statue of Charles Carroll of Carrollton to the United States Capitol's National Statuary Hall Collection. It is located in the Crypt. In 1906 the University of Notre Dame constructed what is now known as Carroll Hall, a residence hall named after Charles Carroll. Paca-Carroll House at St. John's College is named for Carroll and his fellow signer of the Declaration of Independence, William Paca. Marianne (Caton) Patterson (1788-1853), sister-in-law of Elizabeth Patterson Bonaparte, and later married the British statesman Richard Wellesley, 1st Marquess Wellesley (1760-1842), who was the brother of the legendary military commander Arthur Wellesley, 1st Duke of Wellington, who was believed to have been previously Marianne's paramour. Emily Caton (1794/5-1867), married John McTavish (1788-1852), British Consul at Baltimore, and were parents of four children including Mary Wellesley McTavish (1826-1915), The Hon. Mrs Henry George Howard (of the Earls of Carlisle). Charles Carroll Jr. (1775-1825) (sometimes known as Charles Carroll of Homewood because he oversaw its design and construction), married Harriet Chew (1775-1861) and lived in Philadelphia. Harriet was the daughter of Benjamin Chew, the chief justice of Pennsylvania, and her sister married John Eager Howard, who had served in the Senate with Charles Carroll of Carrollton. Charles Jr. reportedly consumed up to two quarts of brandy a day. This led to erratic behavior that resulted in his separation from Harriet. Catherine ("Kitty") Carroll (1778-1861), who married Robert Goodloe Harper (1765-1826), a lawyer and U.S. senator. Today, Carroll's descendants continue to own Doughoregan Manor, the largest parcel of land in Howard County, Maryland, with over 1000 acres (4 km²) of valuable but historically preserved land in Ellicott City, Maryland. In the 1940s, newspaper journalist John Hix's syndicated comic Strange as It Seems published an interesting, but apocryphal, explanation for Charles Carroll's distinctive signature on the Declaration of Independence. Every member of the Continental Congress who signed this document automatically became a criminal, guilty of sedition against King George III. Carroll, because of his wealth, had more to lose than most of his companions. Some of the signators, such as Caesar Rodney and Button Gwinnett, had unusual and distinctive names which would clearly identify them to the King; other signators, with more commonplace names, might hope to sign the Declaration without incriminating themselves. According to Hix, when it was Carroll's turn to sign the Declaration of Independence, he rose, went to John Hancock's desk where the document rested, signed his name "Charles Carroll" and returned to his seat. At this point another member of the Continental Congress, who was prejudiced against Carroll because of his Catholicism, commented that Carroll risked nothing in signing the document, as there must be many men named Charles Carroll in the colonies, and so the King would be unlikely to order Carroll's arrest without clear proof that he was the same Charles Carroll who had signed the Declaration. Carroll immediately returned to Hancock's desk, seized the pen again, and added "of Carrollton" to his name. In fact, Carroll had been appending "of Carrollton" to his signature for over a decade, the earliest surviving example appearing at the end of a September 15, 1765, letter to his English friend William Gibson. Carrollton Manor was the name of a tract of more than twelve thousand acres in Frederick County, Maryland, which the Carroll family leased to tenant farmers. Charles Carroll was portrayed by actor Terrence Currier in the 2004 film National Treasure with Nicolas Cage. He is accurately described as the last living signatory of the Declaration of Independence. Although the film does not explicitly state it, it is implied that Carroll died in Washington, D.C. It is inaccurately stated that Carroll was a Mason; historians of freemasonry agree that there is no evidence that he was, though his son (also named Charles Carroll) is known to have been a member. A scene which did not make the final cut of the film (but appears as a deleted scene on the DVD) shows then-President Jackson rushing out of the White House to find Carroll's body in a carriage. Unable to meet with Jackson in time, Carroll takes into his confidence his carriage driver, Thomas Gates, the great-great-great-great-grandfather of Nicolas Cage's character, Benjamin Franklin Gates. From Carroll, Thomas receives the last known clue to the Treasure of the Templar Knights. Carroll is mentioned in the movie Gone with the Wind. ^ Ellis, John Tracy (1969). American Catholicism. Chicago: University of Chicago. p. 72. ISBN 978-0-226-20556-4. ^ "Signers of the Declaration: Biographical Sketches: Charles Carroll". National Park Service. Retrieved 2012-10-26. ^ "Ireland's History in Maps - Tuadmumu, Kingdom of Thomond". rootsweb.com. 25 October 2003. ^ "Charles Carroll, Signer of Declaration of Independence". adherents.com. ^ "Biography of Charles Carroll of Carrollton, page 1 - Colonial Hall". colonialhall.com. ^ "History of Independence Hall (1859)". fairfield.edu. ^ a b c d e f McClanahan, Brion T., p.199, The Politically Incorrect Guide to the Founding Fathers. Retrieved November 2010. ^ Williamson, Claude, p.247, Great Catholics, Williamson Press (March 15, 2007). Retrieved November 2010. ^ a b Warfield, J. D., p. 215, The Founders of Anne Arundel and Howard Counties, Maryland. Retrieved November 2010. ^ a b McClanahan, Brion T., p.203, The Politically Incorrect Guide to the Founding Fathers. Retrieved November 2010. ^ a b c "Charles Carroll". aoc.gov. Architect of the Capitol. October 10, 2014. ^ a b McClanahan, Brion T., p.204, The Politically Incorrect Guide to the Founding Fathers. Retrieved November 2010. ^ Quotes by Carroll. Retrieved November 2010. ^ Miller, Randall M., and Wakelyn, Jon L., p.214, Catholics in the Old South: Essays on Church and Culture Mercer University Press (1983). Retrieved Jan 21 2010. ^ Gurley, Ralph Randolph, Ed., p.251, The African Repository, Volume 3. Retrieved Jan. 15, 2010. ^ "MemberListC". American Antiquarian Society. ^ "Baltimore Travel Itinerary-- Shot Tower". www.nps.gov. Retrieved 2016-08-16. ^ J.E. Hagerty. "Catholic Encyclopedia: Charles Carroll of Carrollton". Retrieved April 24, 2006. ^ Dees Stribling. "First Democratic Party Convention". Retrieved May 21, 2008. ^ "Maryland Historical Trust". National Register of Historic Places: Brooklandwood. Maryland Historical Trust. 2008-10-05. ^ Charles Carroll High School. "Who was Charles Carroll - The School District of Philadelphia". Charles Carroll High School web site. School District of Philadelphia. Archived from the original on 2012-10-09. Retrieved 2012-10-26. ^ "Catholic Total Abstinence Fountain of the 1876 Centennial Exhibition". villanova.edu. Villanova University. Archived from the original on 23 March 2014. ^ "History of Carroll Hall". University of Notre Dame. Archived from the original on 2011-02-25. Retrieved 5 March 2013. ^ "Paca-Carroll House". Historic Campus Architecture Project. The Council of Independent Colleges. Retrieved 24 August 2018. ^ Hoffman, Ronald (2000). "Appendix 6. Genealogical Charts". Princes of Ireland, Planters of Maryland: A Carroll Saga, 1500–1782. Chapel Hill: University of North Carolina Press. ISBN 0-8078-5347-X. ^ Wake, Jehanne (2010). Sisters of Fortune. A Touchstone Book published by Simom & Schuster. ^ Hoffman, Ronald, Sally D. Mason and Eleanor S. Darcy, Eds. Dear Papa, Dear Charley: Vol. I, pp. 344, n. 2, 378, and 378, n. 9. Chapel Hill, NC. The University of North Carolina Press, 2001. ^ Christopher Plummer (playing John Adams Gates) (2004). National Treasure. Event occurs at 00:01:54. ^ Denslow, William R.; Truman, Harry S (1957). 10,000 Famous Freemasons From A To J Part One. p. 184. Birzer, Bradley J. (2010). American Cicero: The Life of Charles Carroll, Intercollegiate Studies Institute. Breidenbach, Michael D. (2013). 'Conciliarism and American Religious Liberty, 1632–1835' (Ph.D. Dissertation, University of Cambridge). Carroll, Charles. Unpublished Letters of Charles Carroll of Carrollton and of his Father, Charles Carroll of Doughoregan, United States Catholic Historical Society, 1902. Heaney, Paddy (2004). At the Foot of Slieve Bloom. Kilcormac Historical Society. Hoffman, Ronald; Sally D. Mason (2000). Princes of Ireland, Planters of Maryland: A Carroll Saga, 1500–1782. University of North Carolina Press. ISBN 0-8078-2556-5. Leonard, Lewis A. Life of Charles Carroll of Carrollton, Moffat, Yard and Company, 1918. McDermott, Scott (2002). Charles Carroll of Carrollton: Faithful Revolutionary. Scepter. ISBN 1-889334-68-5. Rowland, Kate Mason. The Life of Charles Carroll of Carrollton, 1737–1832, Vol. 2, G.P. Putnam's Sons, 1898. Sergeant, John. Eulogy on Charles Carroll of Carrollton: Delivered at the Request of the Select and Common Councils of the City of Philadelphia, December 31st, 1832, L.R. Bailey, 1833. Smith, Ellen Hart. 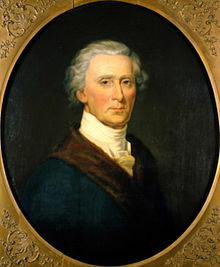 Charles Carroll of Carrollton. Cambridge, Massachusetts: Harvard University Press, 1942. United States Congress. "Charles Carroll of Carrollton (id: C000185)". Biographical Directory of the United States Congress. . Retrieved November 2010. Quotes by Charles Carroll. Retrieved November 2010. "Charles Carroll of Carrollton and Revolutionary Religious Toleration: The Making of a Founder". Article by Matthew Wigler in the Journal of the American Revolution. Retrieved February 2017. A Moment in Time Archives: Charles Carroll of Carrollton. Retrieved November 2010. Homewood House Museum. Retrieved November 2010. Research into Homewood House. Retrieved November 2010. Biography by Rev. Charles A. Goodrich, 1856. Retrieved November 2010. ZENIT: How Charles Carroll Influenced U.S. Founding Fathers (Part 1) and (Part 2) (interview with Scott McDermott; McDermott mentions various facts about Carroll). Retrieved November 2010.